The average person with children in K-12 will spend $688.62 on their children this year, up from $603.63 in 2011, according to survey. In recent years, retailers have had to cater to consumers getting an early start on back-to-school shopping. “Back to school” may be dreaded words for kids, but it is music to the ears of businesses that cash in on the annual shopping ritual. This year offers even better news for retailers: After cutting back on back-to-school spending last year, parents are expected to hit the stores this season to replace and replenish what their children used and wore last school season. The average person with children in kindergarten through 12th grade (K-12) will spend $688.62 on their kids, up from $603.63 last year, according to the National Retail Federation (NRF) 2012 Back-to-School spending survey conducted by BIGinsight. Total K-12 spending is expected to reach $30.3 billion. Combined with spending for college students, total spending will reach $83.8 billion, the survey reports. This makes back-to-school shopping the second-biggest consumer spending season for retailers behind the winter holidays. Back-to-school shopping usually lasts from mid-July through early September, before the school year starts in the United States. But in recent years, retailers have had to cater to consumers getting an early start on back-to-school shopping. Backpacks and hoodies are hitting store shelves before coolers and flip-flops are pulled from them. According to a PriceGrabber survey, 17% of consumers plan to start their back-to-school shopping as early as June, up from 13% of consumers who were shopping in June 2011. The early school shopping is the way some families budgeted to spread out spending. For others, it is because of school calendars that start earlier in the year. Marketers have responded to retailers’ need to stock up their back-to-school merchandise earlier. The economy still has a huge effect on consumer spending, which leads consumers to search for more discounts and retailer incentives such as coupons, free shipping, and sales. Parents are expected to spend the most on clothing, accessories, and electronics this summer. Discount stores will be the most popular shopping destination, with 67.1% planning to shop there for school items. Clothing stores (52%), office supplies stores (42%), and drug stores (22.7%) follow, raking in their share of back-to-school sales. Ragin is not surprised that discount stores are the most popular back-to-school shopping destinations this year. “The economy still has a huge effect on consumer spending, which leads consumers to search for more discounts and retailer incentives such as coupons, free shipping, and sales,” she says. Also not surprising is the growth in online shopping. More shoppers will be looking online to save money and compare products. Even as retailers attempt to drive online shoppers into physical stores, they recognize the importance of interactive web features and promotions. 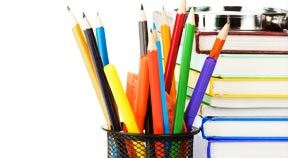 Wal-Mart offers online classroom supply lists representing schools across the United States. Meanwhile, Target Corp. has added to Target.com/college a uStyler feature that allows students to mix and match dorm room products as they begin shopping for their personalized look. J.C. Penney has an augmented reality application to sell back-to-school clothing to teenage girls. Superstores like Wal-Mart, Target, and Kmart, as well as office supply stores and department stores stand to gain the most profit from the back-to-school shopping season. Other businesses also benefit from back-to-school season. Restaurants in shopping districts and malls attract back-to-school shoppers. Hair salons offer back-to-school haircuts and services. Concierge services and personal shoppers provide back-to-school shopping for clients. With back-to-school shopping expected to trend positively this season, many businesses can take advantage of the second-largest shopping event of the year.